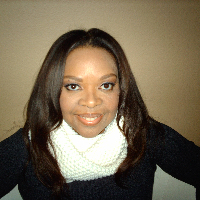 I am a licensed professional counselor in Texas with experience as an educator, family advocate, and school counselor. I am challenged to be creative and nurturing while focusing on empowering you to reach your full potential and attain success as well as encouraging and supporting your personal growth. I encourage you to view challenging times as opportunities to begin new journeys. Through purposeful self-reflection and goal setting, you can gain different perspectives fostering growth and healing. In addition, I have worked with clients in a variety of challenging situations, including depression, identity, anxiety, relationships issues, life transitions, parenting issues, ADHD, as well as other social and emotional issues. My professional approach is a combination of Interpersonal, Cognitive Behavior, Humanism, Family Systems, Reality, Acceptance and Commitment Therapy, and Integrated (Holistic) counseling. It is my goal to encourage and inspire you fostering hope, genuine acceptance, and authentic understanding, empowering you to reach your full potential on your life journey. Melissa really takes her time to hear your concerns and helps you understand the areas you may need to work on. One thing that I love about Melissa is that she tells you what she thinks should you ask. Most counselor I've come across don't. I've been to alot of counselors and she is by far my favorite. Melissa has been a great counselor for me. I am sort of all over the place and have trouble putting my feelings into words, but she is extremely patient and offers multiple ways to work on certain issues. Would you like to write a review for Melissa Clayton? We'd appreciate if you can spend a couple of minutes to write a short review for Melissa Clayton (LPC, MA). This review would be shared with Melissa Clayton. It may also be posted in our website or in Melissa Clayton's profile but it would be anonymous and your identity would be kept completely confidential.